We’ll take you on a tour of Rachael and Jeff Boyer’s new home that features forward-thinking design and never-before-seen finishes. In 2009, Rachael and Jeff Boyer and their son, Caleb, lost their North Moorhead home to frigid flood waters, which forced them to begin afresh. Seven years later, this family has rebuilt new dreams atop of old. We’ll take you on a tour of their new home that features forward-thinking design and never-before-seen finishes. The exterior of the Boyer’s home is all cedar. “The style, we want it to blend with the natural environment. That’s why everything on the exterior is all natural–all cedar. That’s what we do. We stain and finish exteriors as well,” Jeff Boyer said. Although some people may think that natural wood siding is less durable than metal siding, it actually lasts just as long as steel or vinyl with the same amount of maintenance. While the Boyers finished the exterior, they would like to express special thanks to Signature Landscapes and Valley Green for the work that they did on the yard, which was also devastated by the flood. Rachael and Jeff Boyer are the owners of The Coatings Authority, Inc., which started out as The Brush’s End 20 years ago. They provide surface preparation, painting and decorative concrete coating options. Ambition runs in their blood as their son, Caleb, is a published author. He had a teen-adventure-action novel, “Island Games: Mystery of the Four Quadrants,” published at the age of 12. This November, he is relaunching a remastered version of the book. Many residents of the FM area will remember the flood of 2009. This is especially true for the Boyers, who not only lost their home and everything in it, but also their shop, which was located in their backyard. For the next three months, they stayed with a friend and then rented a home in South Moorhead. “We were evacuated for about three years and finally got to the point where we were able to resettle and rebuild,” Rachael Boyer said. In 2012, they built their new home atop of the ashes from their old place. The Boyers decided to do a controlled burn of their old home, but they were able to restore their shop. Their new home can be considered a showcase of The Coatings Authority’s abilities. 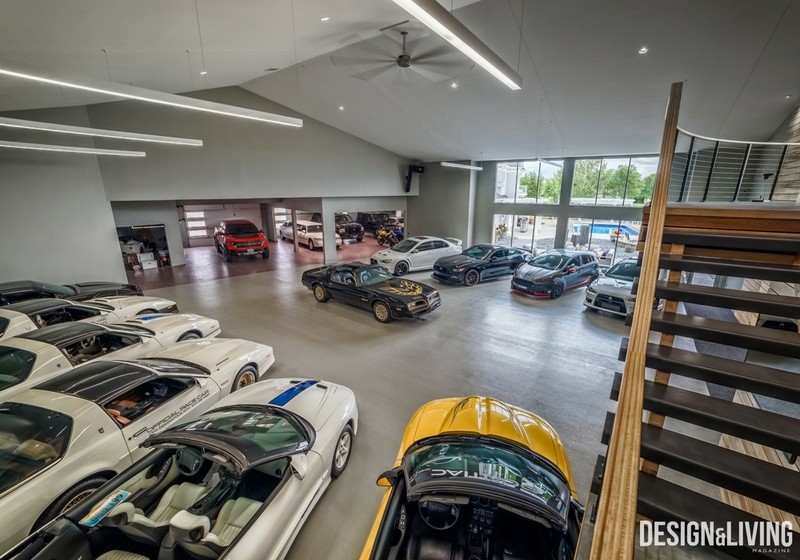 The Boyers hired an industrial construction Dallas to serve as the general contractor of the project, then had Scott from Bob’s Drywall do all the sheetrock and drywall. While Jeff Boyer did the finishing work, Rachael Boyer designed the interior from the ground up. When it was built in 2012, the Boyer’s selections were ahead of their time. The Boyers wanted their fireplace to be visible from anywhere in the space, so they raised it to be the same height as the TV. The living room features lots of natural light. “We wanted to take in nature and the environment that we live in because it’s so beautiful up here. It’s like being in a resort every day. We were really careful about that when we designed it,” Rachael Boyer said. Much of their home décor calls back to nature, as well. Rachael Boyer designed the dining room around a square table and, lucky for her, she found exactly what she was looking for at Scan Design. This stainless steel-wrapped island is at the very center of the main floor. It is a place where the Boyers can sit, watch TV, enjoy the fireplace and each other. When they entertain, everyone can participate in the conversation due to their open floor-plan and the placement of the second island. Caption: The Boyers’ kitchen has a large pantry with an extra fridge and freezer. The Boyer’s kitchen features quartz countertops and exposed shelving, both of which have gained popularity with homeowners within the last five years. When Rachael Boyer made her selections, she put efficiency first. That’s why the glasses and plates that see the most use are placed on exposed shelving. This three-season room features a never-before-seen finish. A new wood chip floor product is in production by Torginol, a supplier to Sherwin Williams. This product has yet to be released to the nation, but was released to the Boyers for first use. This unique floor covering consists of maple-colored wood chips covered in a clear, glossy finish. In the Hallway, the Boyers have framed, aerial photographs of their house during the 2009 flood to remind them of how far they’ve come. The Boyers’ garage also features unique, cedar-colored wood chip, clear-coated floors. “It’s a product that hasn’t been released yet so we’re the first ones to apply it and the first ones to receive it as a customer,” Rachael Boyer said. Sherwin Williams has even expressed interest in featuring the Boyers’ garage in their national advertising campaign. Rachael and Jeff Boyer’s handicap accessible master suite is off of the main living space. It features an ensuite sitting room, master bath and walk-in closet with laundry. “We knew that Caleb would be hanging out with friends [in the living room] and we wanted to have a separate spot where we could get away and relax,” Rachael Boyer said.